Epsilon-Logic Systems initially emerged in 1996 as a software consulting firm, performing custom software development in almost all aspects of business and engineering information systems. In recent years however considerable effort was put towards the development of database and report software tools. These efforts resulted to the release of ELS-QB ActiveX component and a revolutionary report tool called ELS-Script®. After the release of ELS-Script® report tool, Epsilon-Logic Systems narrowed its broad scope of consulting services towards an extremely specialized area of software development. These restrictions contributed to the delivery of software systems with high precision and affordability, contributing to the initiatives and goals of the company. 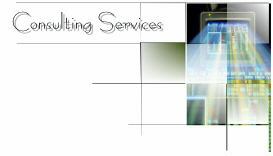 If your projects need highly specialized technical training or consulting in any of these areas, please do not hesitate to send an e-mail to our Consulting Services department. One of our highly specialized software engineers will follow up with your requests.